Desi Smith/Staff Photo. 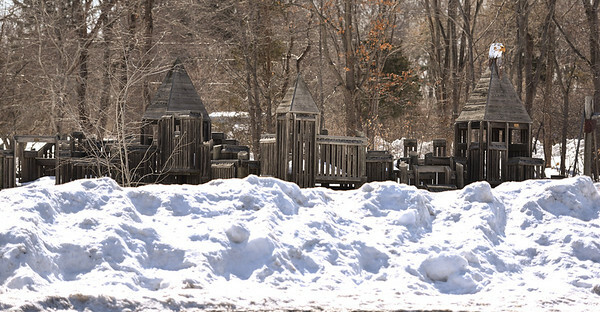 With the first day of spring vernal equinox starting Friday March 20th, two to three feet of snow still covers Eagles Nest Playground in Essex Saturday afternoon. The temperatures will need to stay warm for quite some time to melt it all away, before kids will be able to enjoy it's grounds again. March 7 ,2015.